Dating back to 776 BC, the Olympics have provided a forum for athletes to compete and show their strength and skill acquired over years of dedication and practice. This international competition has lessons for social media. 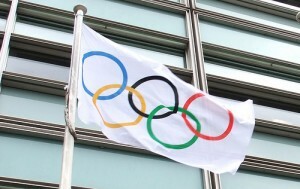 As the 2012 London Olympics are poised to start, let’s examine some of those social media lessons. Here are seven social media lessons from modern Olympians. “Holding an Olympic Games means evoking history.” Pierre de Coubertin – Founder of modern Olympic Games. Just as the Olympics provides individuals with the ability to compete with others in an international forum, social media enables people from diverse backgrounds to interact in real or lapsed time. Also there’s a subtext to social media since, as a part of the Internet, whatever you communicate is forever. This is particularly true for social media content formats such as blogs, photographs and videos. “Getting to know athletes from all over the planet is a big part of the Olympic experience.” Mary Lou Retton American gymnast. Like the world class competition, social media enables participants to meet and engage with people who have different perspectives. Social media is like a gigantic communications Olympics where everyone can participate and engage with each other by paying-it-forward and putting the community ahead of themselves. “The most important thing in the Olympic Games is not winning but taking part; the essential thing in life is not conquering but fighting well.” Pierre de Coubertin – Founder of modern Olympic Games. Social media isn’t a spectator sport. It requires active participation. While unlike the Olympics there are no winners or losers, it provides an opportunity to get out from behind your corporate veneer and interact with your prospects, customers and the public. While many firms fear the potential for a PR firestorm or other social media mishap, they don’t realize that it can happen whether they participate or not. It’s better to be active and have built a following so that others will help you when you need their support. “The first thing is to love your sport. Never do it to please someone else. It has to be yours.” Peggy Fleming (American figure skater, 1968 Winter Olympics.) Fleming’s comment underscores how participants should behave on social media. Social media is about being true to yourself. It’s similar to the lessons Spiderman learned. To this end, a level of openness and transparency are needed. It enables people and organizations to build trust. “When anyone tells me I can’t do anything, I’m just not listening any more.” Florence Griffith Joyner – American athlete in 1988 Summer Olympics. Joyner’s words underscore the sense many of us have when someone says “no”. The power of social media is the ability of unrelated people to come together to help others in need who they may never have met before. Just as an Olympic athlete needs support from their family and coaches, many of us can use a helping hand sometimes. On social media platforms this happens time and again whether it’s a school monitor who is harassed by her students or a friend who has breast cancer. People reach into their hearts and hold out their hands to help. No one should ever feel alone or that there are no other options. “Perhaps I don’t give the impression that I’m hurting on the track. But that is because I am animated by an interior force which covers my suffering.” Noureddine Morceli – Algerian athlete in 1996 Summer Olympics. Being an Olympic athlete takes practice and work every day. It requires giving 110% and more. Similarly, it requires that you’re the best person you can be. Social media does the same thing. While you can just hop onto a network and lurk, to be an active member of the community requires engagement on a regular basis. If you dream and you allow yourself to dream you can do anything. And that’s what this Olympic medal represents.” Clara Hughes Canadian cyclist and skater. Social media enables participants to be whatever they want to be. This doesn’t mean that you should have a false identity. Rather you should be transparent in your actions and words. You should try to be the best person you can be and help others to achieve their goals. Social media isn’t about you. It’s about the community and the greater good. To compete in the Olympics requires hard work and practice over a lifetime. Athletes need to put their heart and social into their work. The same holds for social media. It requires regular, on-going engagement and participation to stay on track. What other lessons can be learned about social media from past Olympians? Tags 2012, Olympics, Quote. Bookmark the permalink.